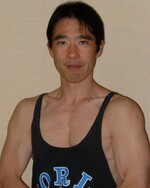 ダイエットへのモチベーションを高めるエクササイズビデオ　motivator for exercise: Exercise & Language Instructor Fitness journey ENDO's Walk on ! One of my best friends showed me the presence of a youtube channel named as Danceon, and this footage is one of dance exercise videos on that channel. Of course I can not dance like this cuz my specialty is mainly strength & conditioning, however this amazing dance video can be a good motivator for your fitness workout. So I would like to share it here on my blog.